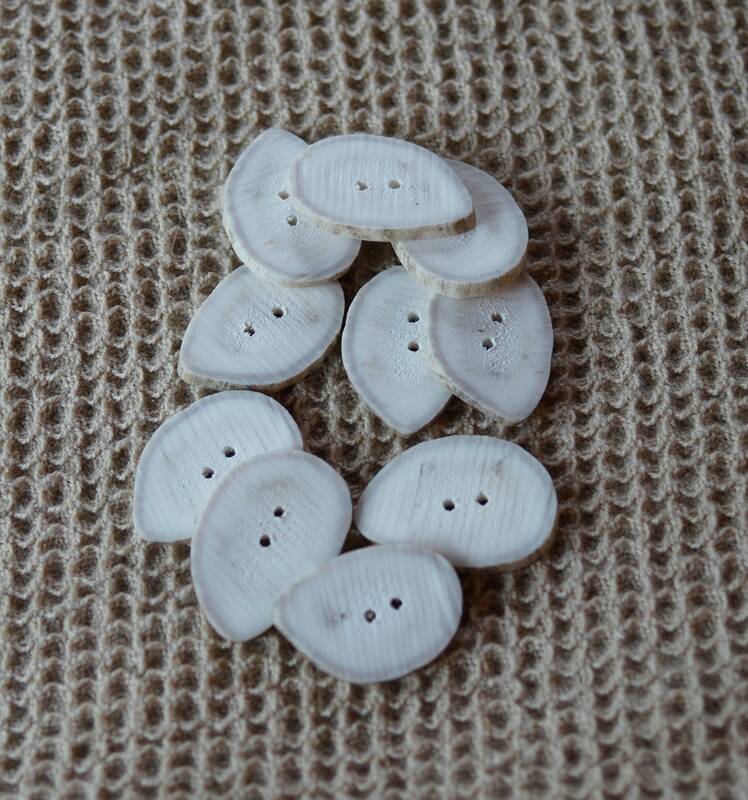 Horn Button: Deer Antler slice buttons 3/4 inch diameter. Hand made by a Maine craftsman. 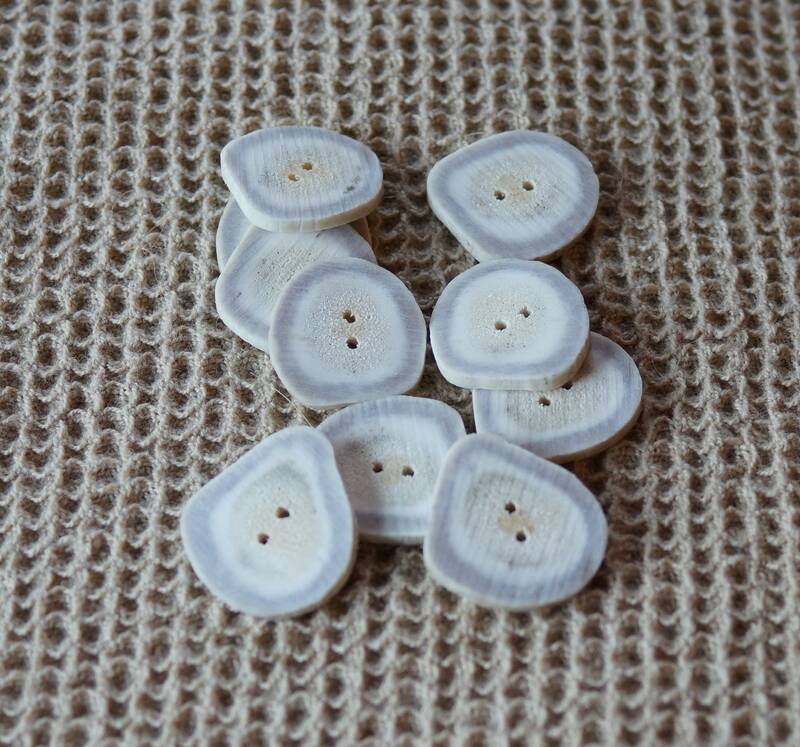 Deer antler horn slice buttons 3/4 inch average diameter . All light color. Shape is slightly irregular. Made in Maine. Buttons are made from antlers the deer naturally shed once a year.